Dr. Jeffrey Dorr is a board-certified radiologist based in San Jose, California. He did his residency in Radiology at the Santa Clara Valley Medical Center and completed his internship at the Riverside Regional Medical Center. 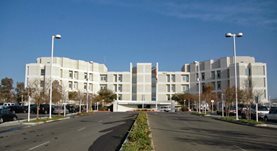 He has been practicing for about 2 years and is currently associated with the Riverside County Regional Medical Center.